Product prices and availability are accurate as of 2019-04-20 11:54:06 UTC and are subject to change. Any price and availability information displayed on http://www.amazon.com/ at the time of purchase will apply to the purchase of this product. Featuring a universal tablet holder, the Innova XBR450 Folding Upright Bike with Backrest and Tablet Holder is a great way to unite a healthy body and mind. 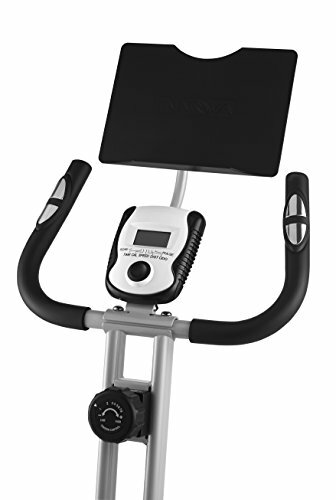 Providing a super smooth ride with precision dual flywheels with high torque and a multi-crank and multi-level magnetic resistance system, this dual purpose exercise bike design allows for upright bike exercise with a backrest. The easy-to-read LCD display with heart pulse function also displays the time, distance you've traveled, rate of speed, and the amount of calories you've burned - it also helps you work out within you target heart rate. No more boring workouts. Just place your iPad, Galaxy, Kindle etc. on to the Innova Universal Tablet Holder and keep yourself connected. Now you can enjoy your favorite news, movies, check email and social networks while you work out. The new Innova Patent Pending Tablet Holder combines leisure time with a cardiovascular workout for a more consistent long-term workout program. Its large, comfortable seat has a high-backrest and can adjust vertically and horizontally for your personal comfort. This bike has a sturdy S-style frame design with a 250-lb. capacity is designed to last for years to come. Monitor functions: Time, Speed, Distance, Calories and heart rate. 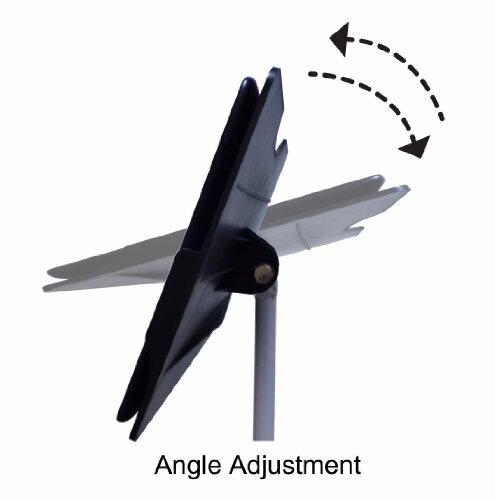 Includes convenient Innova Universal Tablet Holder. Consult with a licensed physician before starting any exercise regimen. Although we strive to ensure all product details and information is accurate, there may be slight variations by the manufacturer. Actual product packaging and materials may vary and may contain different information than shown on our product page or website. Please do not rely solely on the information presented and be sure to read all labels, warnings, and instructions before using the product. For additional information on the product, please do not hesitate to contact the manufacturer.